Search and Rescue, or SAR, is the Auxiliary's best known emergency service. It entails air and ground search and rescue, local disaster relief, as well as cooperation with and assistance to other emergency services agencies. Air Force Auxiliary members fly more than 85 percent of all the hours flown on search and rescue missions directed by the Air Force Rescue Coordination Center (AFRCC) at Langley Air Force Base, Virginia. The center coordinates search and rescue efforts within the inland search and rescue region (the 48 contiguous states). In the last five years, the Air Force Auxiliary crews have been involved in more than 5,500 search and rescue or other emergency service missions. 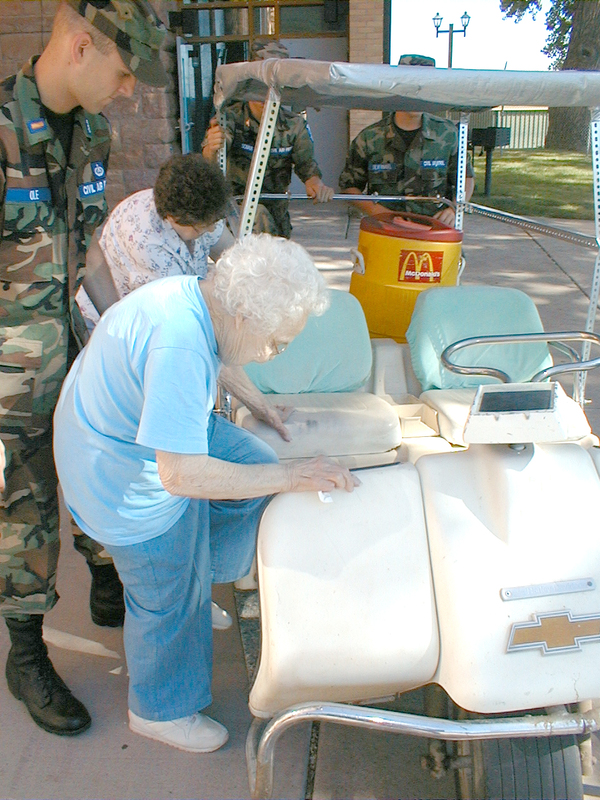 During this time, the Civil Air Patrol was credited with saving the lives of more that 425 persons and with locating the objects of their searches nearly 2,500 times. These missions required more than 92,000 hours of flying time. Often, Auxiliary members assist on missions which may involve airlifting blood or donor organs, medication and civil or relief officials to disaster areas, as well as the air evacuation of the stranded, sick, or injured. 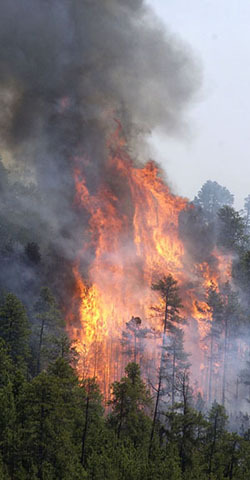 Rescue work and aid are provided during emergencies such as fires like the Grizzly Gulch Fire of the Black Hills in 2002, hurricanes and earthquakes. The Civil Air Patrol also maintains a nationwide network of over 20,000 radio stations which provides an invaluable backup to state, local civil defense, and Air Force communications. Locally, the stations support state disaster plans and provide communications for Auxiliary search and rescue and other disaster relief missions.